From Malaysia to Singapore was approximately 5 to 6 hours journey via TBS Bus Service. Bus dropped us at Beach Road in Singapore. Before heading to the Airbnb (located at ‘Paya Lebar’) which we had booked for our stay in Singapore, we longed for the suitable Mobile SIM for proper communication. We chose ‘Singtel’ because it was serving us in the best way as per our requirements. It was our first day in Singapore and we made ourselves comfortable at our place Airbnb. Clock was saying 2 PM. We let ourselves rest for an hour. Meanwhile we were planning for the day. We had plans to go for sightseeing places from tomorrow morning with a fresh mind. So what is the best thing that can be done today was exploring the local market. 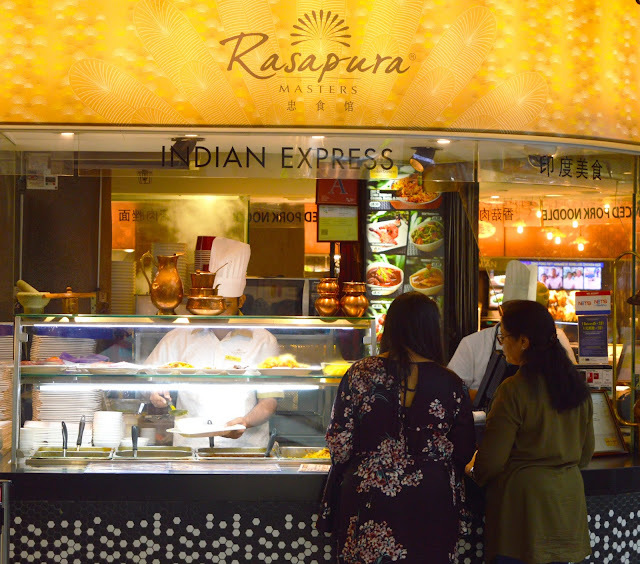 Being Indian, Little India suits us the best in terms of preference as well as distance from ‘Paya Lebar’. MRT (Mass Rapid Transport – Railway System in Singapore) was suiting us best in terms of mode of transport. MRT covers the entire of Singapore and it is very convenient to reach any location. Besides convenience, MRT proved itself to be the cheapest and the reliable mode of communication too. Walking all the way into the streets of Singapore, I realize that tourism is something which is welcomed by almost entire world. Each country has something unique in it. In terms of food, India consists of both Vegetarians as well as Non-Vegetarians. So, why any country would restrict its food as per their choice and harm its tourism. So, I would like to make a note over here for all those who travel to Singapore and have a notion that there is lack of vegetarian items. Wake up people! 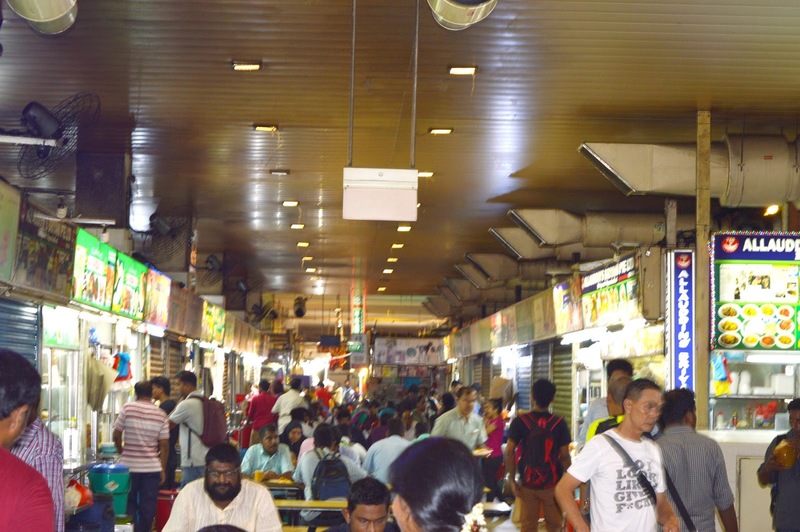 There are lots of vegetarian options, not only in Little India but other places too. I will keep on pointing them wherever necessary. Little India was the first place we chose to visit. It can be reached by following the purple or the blue line of MRT. To reach from ‘Paya Lebar’, follow the green line and then change to purple line at ‘Bugis’. Truly speaking, this place amazed me and made me feel lucky enough. 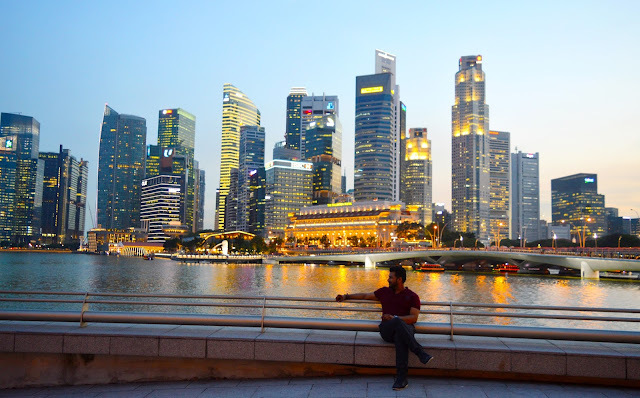 The first place to be explored in Singapore broke all the myths people say about Singapore or any such international place. All the things which seem impossible are all here in Little India. Vegetarian food, Indian Products, not so costly products all can be found here. Even while walking along the lanes towards ‘Ferrar Park’ MRT, there is one temple that looks beautiful. If by any chance you cross by those lanes, it is a must to visit. 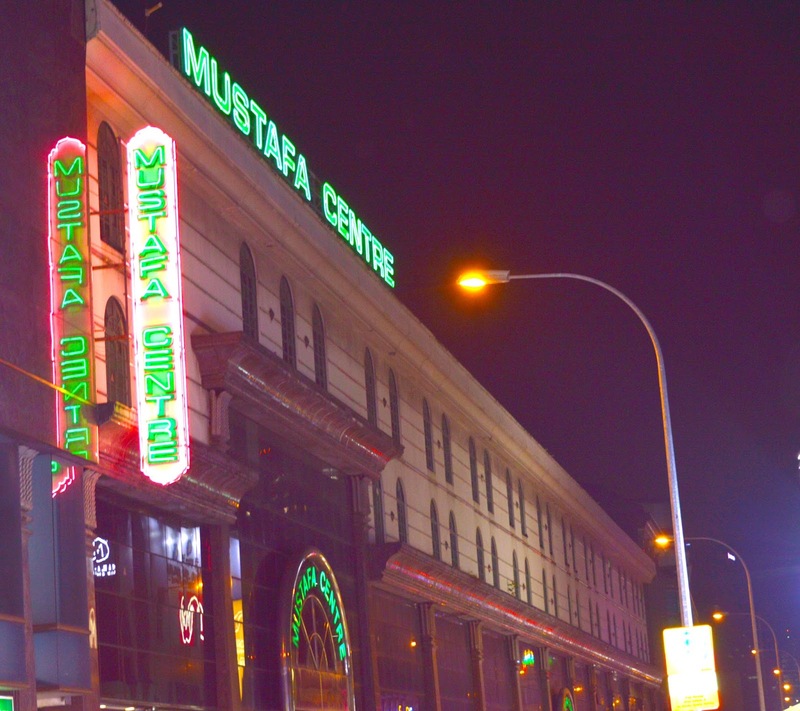 Mustafa Centre Walking ahead following the same lane toward ‘Ferrar Park’, there is one mall ‘Mustafa Centre’. It is a shopping Complex in Singapore which is famous for abundance of Indian and Asian items at lowest possible rates. In a nutshell, I would say that No One can Visit just Once. I personally made plan to visit, explore and shop at this mall again in next two days. As already conveyed that we chose Airbnb in Singapore this was majorly because we were large number of people in a group (all family) including oldies. Our oldies prefer vegetarian stuff and moreover home cooked food. So we found this Mustafa Centre quite convenient. In every two days, before returning back home, we made sure to visit this centre to shop for milk, bread, sugar, flour, Jam and other necessary items like drinking water. 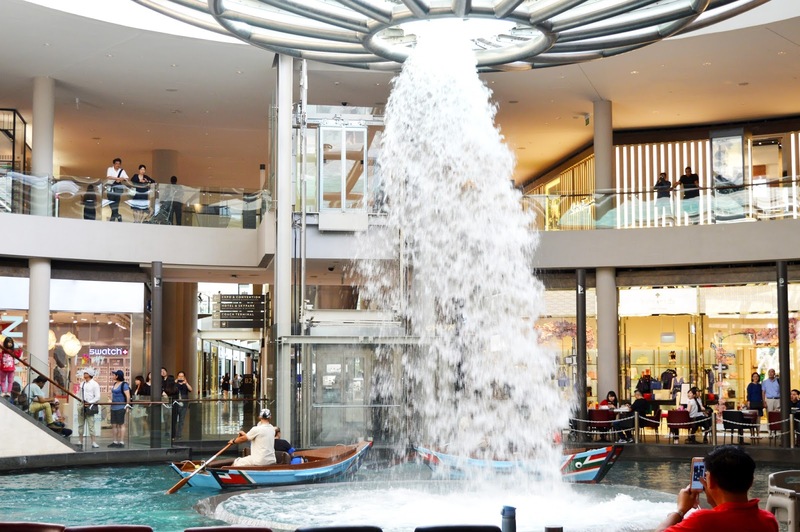 Note about Drinking Water: The tap water in Singapore is used as Drinking Water by local people. My personal experience is in favour of Tap Water. We found no issues and no impurity in the same. Even if you have some doubts, the same water can be used after boiling it. An A+ from my side to Tap Water in Singapore. About Vegetarian Restaurants in Little India You will get to see lots of vegetarian restaurants in almost every lane of Little India at least. Sarvana Bhawan and Mustafa Cafe itself tops among all. 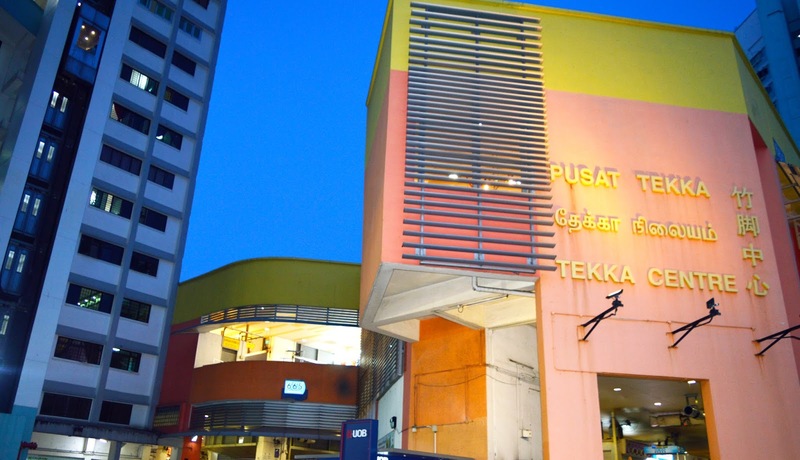 Tekka Centre is located just outside the gate of Little India metro Station. 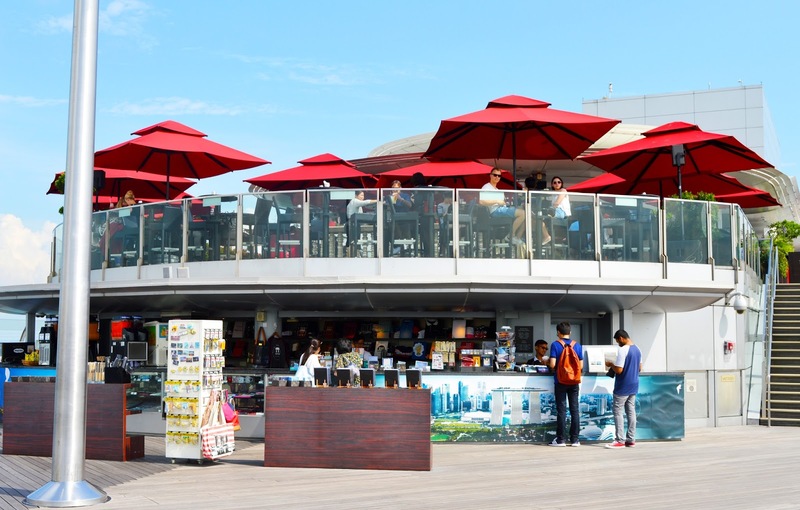 It is one of the renowned places to eat at cheapest possible rate. It is known for its availability of both Vegetarian and Non- Vegetarian Food. The place is not luxurious and is shady of course, but is worth it if you are looking for some cheap options. There we saw two lanes, one cutting towards left and one towards right. Most of the vegetarian’s items we found in the left lane (left if facing towards Tekka Centre). We could see South Indian, North Indian as well as sweet dish options. Looking at the footfall there, I must say people consider this option at large scale. Please be noted that if I say Vegetarian doesn’t mean the place is free from Non- Vegetarian options. It just simply means that both options are available. Mc Donald’s is world famous restaurant which is renowned for serving burgers of varied variety. The good news is that almost each and every Mc Donald in Singapore serves vegetarian Burger too. There is one Mc Donald restaurant available almost at every metro station in Singapore. Little India is opened till 10:30 or 11 PM at night. So we made our exit from ‘Ferrar Park’ MRT up to ‘Paya Lebar’ MRT (our place of accommodation). ‘Ferrar Park’ MRT was our exit point because we had already travelled by foot from ‘Little India’ to ‘Ferrar Park’ while exploring the Little India in search of ‘Mustafa Centre’. There is also one China Town with a similar concept as of Little India. Both of them are one of the best to explore and shop. The very next day after we were done with Little India, we made our plans to visit Sentosa Island. My fun filled two days at Sentosa Island along with Universal Studios have already been shared in my previous published post (Click Here). Yes, I was super excited when it comes to Marina Bay Sands and reaching on its top floor. 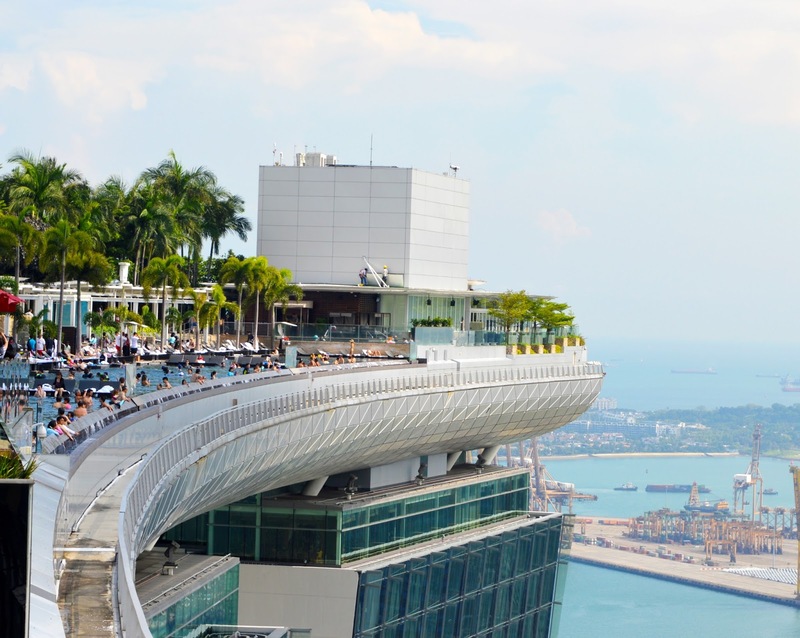 Marina Bay Sands is not all about its Observation Desk but also the world renowned Infinity Pool, nearby located Gardens of Bay and Singapore Flyer are also listed as favourite spots among travellers. It was early morning when we started from our Airbnb for Marina Bay Sands. We boarded the MRT yellow line from Paya Labor to Marina Bay which is a direct MRT line. 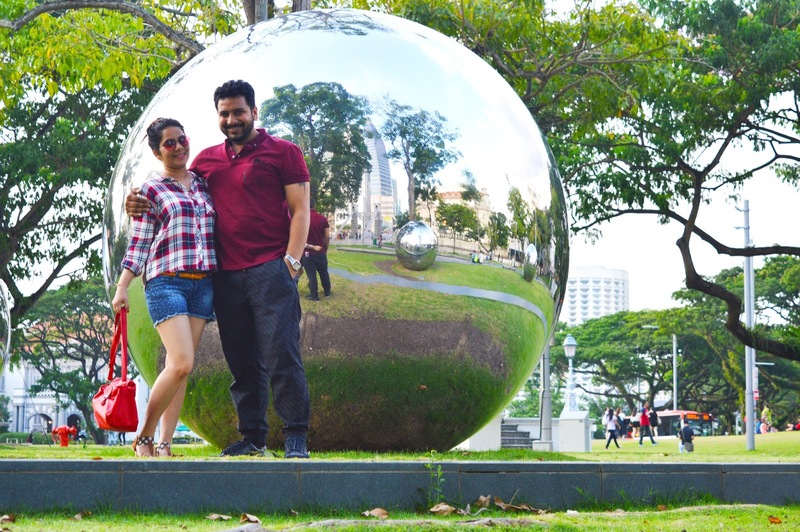 After alighting from the metro we followed the path to Marina Bay Sands. It is like everything is there at one place. As soon as we departed from the metro there was a shopping complex. It was so unique in built and sightseeing it provides. There was also a boat ride available. This alone set up of Small River with a boat ride inside the vicinity of the mall just groomed up the entire look and feel. Straight we followed the lane of the river, it was beautiful. Lots of showrooms of varied brands are available there. I did research on the pricing of few items there. I enjoyed it immensely. The designs available there were fabulous. There is a small food centre at the T Point of this lane of river. But yes, the view was again terrific. The boats take a u turn from this point to return back to the originating point. Moving straight to the right of the T point in the mall itself, was located a food court. All kind of vegetarian and non – vegetarian food options were available there also. We traversed through the entire food court. At the very beginning is located a vegetarian stall. We got our food for the morning from here and relieved our tummies. Moving further towards the Marina Bay Sands and its Observation Desk, we inquired about the ticket booth for the same. Ticket booth was located at the very end of the Marina Bay sands in the basement area. This ticket included our visit to 56th floor of the Marina Bay Sands excluding the entrance to Infinity Pool or anywhere inside the Marina Bay Sands Hotel. The cost of the ticket was worth enough, when we were finally at the top floor. It gave us the best of the view. It is even higher than Singapore Flyer. Only the topmost front part of the Marina Bay Sands which we can see protruding out in the images can be traversed and explored by visitors. At one side we could see the Sea and the cruises, Garden of Bay and everything that look just tremendously awesome. No doubt we got indulged in capturing lots of pictures. At the other side, I could see lots of building at the similar height as of Marina Bay Sands, but may be its only Marina Bay Sands that provides with the best of the view. At the back side, following the stairs one can have a glance of Infinity Pool too. There is no time bound. Enjoy your feeling of being on Cloud 9 to the fullest. Have a full on view of the Singapore Flyer and observe how it moves. Enjoy the drinks or snacks and much other stuff only if you can beat the heat. Else no one can stop you from having ultimate fun at the Observation Desk. Singapore flyer at the height of approximately 540 ft is a giant wheel that takes one rotation in 30 minutes. It is built to rotate smoothly in any wind circumstance. So there is no need to worry about the safety part of the flyer. This flyer provides us with the view of Sentosa Island, Changi Airport and even the parts of Malaysia and Indonesia. There are total of 28 capsules in the flyer. These capsules are used to carry passengers where one capsule can carry up to 28 passengers. It simply states how big one capsule size is (about the size of one bus). OMG!! Being one the largest giant wheel, Singapore Flyer succeeded to provide us with the immense pleasure. The Same Singapore Flyer looks awesome from Merlion Park. At some walking distance from Garden of Bay of around 20 to25 minutes walk is located the Merlion Park. You can obviously follow the Metro MRT or any taxi as per your convenience. But we wanted to explore in between of Singapore so we preferred this journey by foot. Crossing over the paths of Helix Bridge first of all and then straight to Esplanado (where we also encountered Ritz by Carlton – a 5 star hotel in Singapore). Then Straight from Esplanado we reached Merlion Park. There are no entrance charges for the Merlion Park. 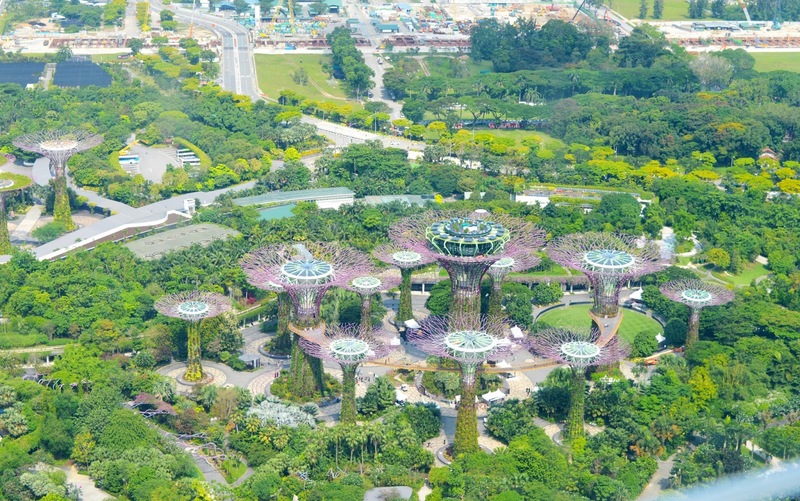 It is like any other general park of the city but famous for its Merlion Statue located in the middle. Following the signboards we could easily reach our destination and had a lot of fun on the way itself. As it is always said that it is the way of the journey that makes you more aware of the place. Truly it fits over here. The entire way to Merlion Park was beautiful. Path was full of greenery and 5 star hotels. There was a river and also the bridge over that river to be crossed. Just at the corner of the bridge after crossing it, was an ice cream vendor selling ice cream for 1 Dollar each. He was carrying multiple flavours of chocolates and that too very delicious at such a good rate. Moving on further following the path, we finally made up to the destination. 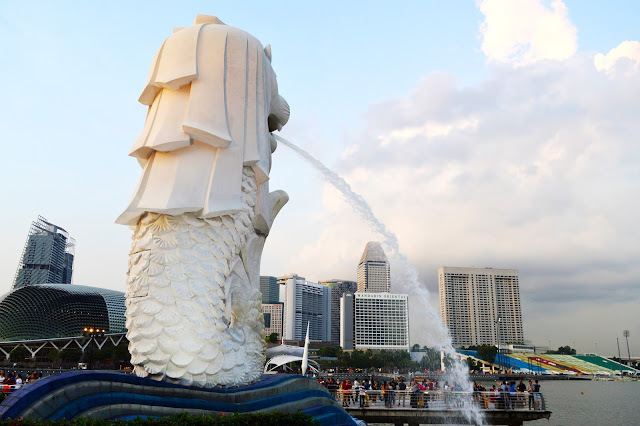 Watching Merlion, spouting water from its mouth is a soothing experience in itself. One can sit and enjoy their evening in relaxation. We enjoyed our time watching the Glorious Marina Bay Sands and the magnificent Singapore Flyer from Merlion Park itself. By the evening all the lights were ON. I can see the real glittering Singapore NOW. It was just amazing. Beautiful! Gardens of Bay is located just to the adjacent of the Marina Bay Sands. Following the return path via Helix Bridge we made up to the Gardens of Bay. It was also glittering at its best. It is a kind of showpiece that presents the plant kingdom in an entirely distinct way. A favourite spot among the locals and internationals, it has got three distinctive gardens Known as: Bay South, Bay East and Bay Central. Bay South being the largest garden among all and Bay Central serves as a link between Bay South and Bay East. Multiple Tourists Attraction points have been developed over here. Few of the part are free to access and few of the attractions are chargeable. So plan accordingly. Flower of Dome is the largest glass greenhouse in the world. It has got the collection of flowers from Mediterranean and semi – arid regions. It opens daily from 9:00 AM to 9:00 PM for which last ticket is available till 8:00 PM. Cloud Forest will provide you with the breath taking mountain views surrounded by diverse vegetation and flora. Here we got to learn about varied variety of flora. It opens daily from 9:00 AM to 9:00 PM for which last ticket is available till 8:00 PM. OCBC Skyway is structured at the height of 22 metres giving the best of the views of the entire Gardens of Bay and Marina Bay Sands. It is 128 metre aerial walkway which is not advised to be missed. It opens daily from 09:00 AM to 09:00 PM. Super tree Grove measures between 25 to 50 metres in height. These are the large iconic trees designed such that they provide shade in the day and display magnificent light show at night. It opens daily from 5:00 AM to 2:00 AM. There is no admission fee to visit Super tree Grove. Far East Organisation Children’s Garden is especially for kids to enjoy and have fun filled family time. 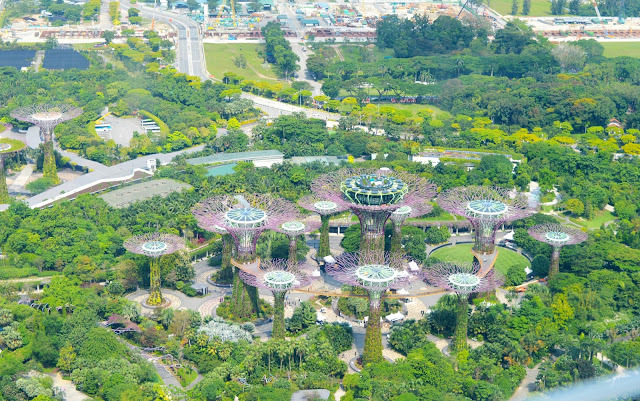 Bay East Garden is available for 24 hours a day that provides with the glorious view of the Marina Bay Skyline. It is more often famous for the scenic beauty it provides to the pedestrians. Dragon Fly and Kingfisher lakes let you discover the aquatic life. 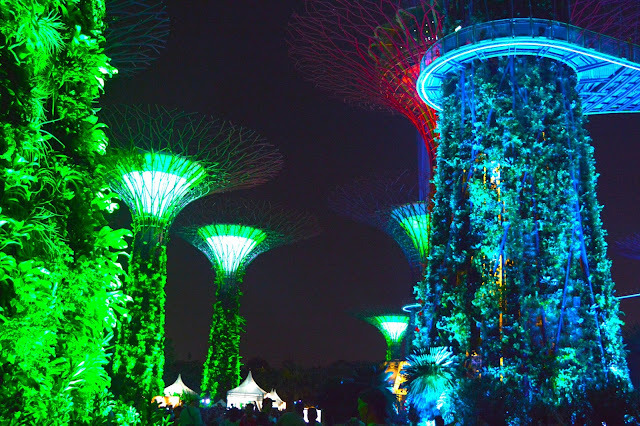 Heritage Garden makes you aware of the link between the plants and Singapore Culture. It is open from 5:00 AM to 2:00 AM for free. World of Plants lets you discover something about the plants which is again open from 05:00 AM to 02:00 AM for free. Listing almost enough of the places that must be explored while on trip to Singapore doesn’t mean that it ends up over here. Explore as much as you can depending upon the number of days you can afford here. Do not forget to share your experience with us! I have been to Singapore often times and there is no doubt that it is one of the most fantastic places to visit. There are many places to see over there for every person looking for quality time. Excellent blog post. 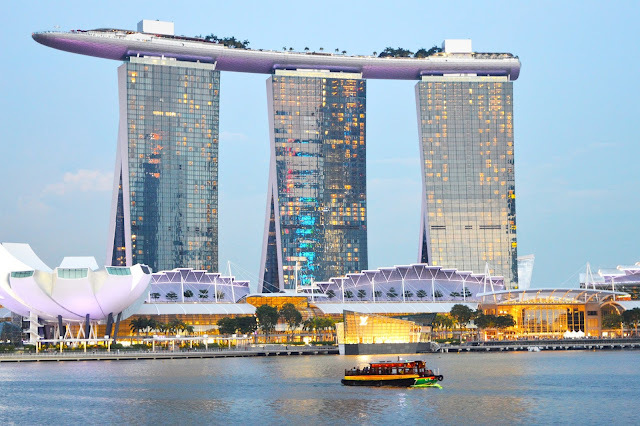 The ark fun forever provides you Singapore Tour Package . Reasonable cost.